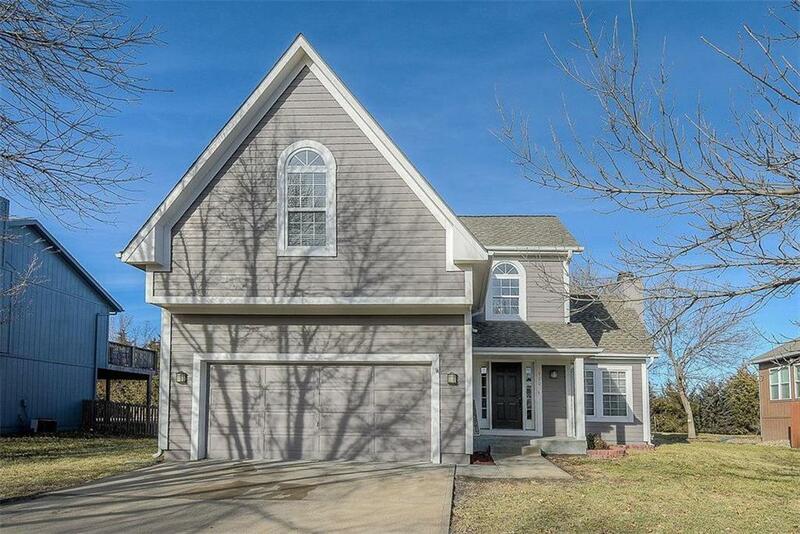 Rare 2-story in Cottage Creek subdivision. Walking distance to Moonlight Elementary. Upgrades include new interior paint and carpet. Beautiful Cherry Wood Floors throughout main level including family room, dining & kitchen areas. Gorgeous Cabinets, Granite & Tile Backsplash w/Stainless Steel Appliances & Pantry. Ample storage. Master Suite offers dual vanities, shower and walk-in closet with built-ins. Bedrooms 2 & 3 have extra large storage/closets. Lower Level is waiting for your finishing touch. Don't miss out! Directions: I-35 to Gardner Exit 210 - W to Moonlight, S to Cottage Creek Dr., E to Home on Left Side of Street or Gardner Exit 207, N to 183rd St., E to Moonlight, N to Cottage Creek Dr., E to Home on Left Side of Street.